New Jersey is a wonderful place to live. It is famous for its breathtaking shores and good times walking down the boardwalk. It’s also close to both Philadelphia and New York, which are two very popular cities. Atlantic City, the world-renown casino tourist attraction, is also located in New Jersey. Living in New Jersey carries with it a certain mindset and pride in your community, and that includes your home. The idea of renovating your home has probably come to your mind at one time or another and it is fun to dream about all the improvements that can be made. Reinventing your home is possible and well within your reach. Upgrading you home will not only increase the almighty curb appeal but will tack a few bucks on to the equity. At Cambridge Exteriors we have been helping our neighbors get the home they have dreamed of and take as much pride in our work as they do in their homes. Check out a few ways to upgrade your home with us! One critical component of a home is roofing. Your roof is your home’s first line of defence against the weather and if it is damaged serious consequences could result. With a licensed NJ roofing contractor like Cambridge Exteriors, you can customize your roofing system according to your particular tastes. 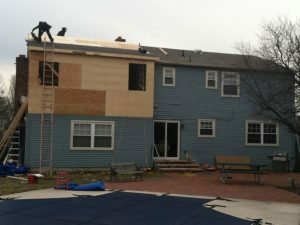 Having your roofing system investigated for potential issues is vital regardless of whether or not you want to have it redone simply for aesthetic purposes. 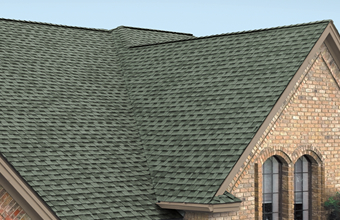 At Cambridge we proudly use GAF roofing products to ensure a perfect result every time. Superior materials coupled with expert installation it the Cambridge Exteriors way. Siding can provide a beautiful look for your home. Not only does it protect your home from the elements but it develops the curb appeal and character. There are a variety of different siding styles to choose from and the more your siding matches your entire home, the better. CertainTeed vinyl siding is one of the best siding options out there and we use it on our siding projects. Cambridge Exteriors is committed to making your home perfect and doing the job right the first time. How nice would it be to have an amazing view of your backyard through a gorgeous kitchen window? Or—better yet—what about a gigantic set of windows in your family room to create an airy open feel? Windows are not only exceptional for home improvement purposes, but they also serve a functional purpose as well. With a new set of windows, you can gain more energy efficiency, too. When you elect to replace your siding, this is the best time to replace your windows. At Cambridge Exteriors, we can walk you through the process to ensure that you receive the best result possible. Home renovation is an exciting way to switch up the quality of your home. It is important to do your research before having any of the above improvements installed. Find a contractor that fits your needs and can help you realize your vision for your ideal home. Contact Cambridge Exteriors today for more information about exterior renovations.